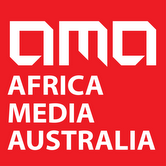 Africa Media Australia (AMA) is one of the largest African-led media company in Australia. We are both a media company and an advocacy group. Our success is driven by our commitment to reflect the dreams, aspirations, successes and challenges of African communities in Australia. We strive to enable our multicultural and multifaceted audiences to tell their own stories in an increasingly fragmented media landscape in Australia and globally. AMA’s advocacy arm focuses on advancing the interests of Africans in Australia and encouraging members of these communities to contribute to a more harmonious and prosperous Australian multicultural society. We also strive to strengthen the socio-cultural and economic links between Australia and Africa through information, education and various events. Our consultancy expertise in event and project management has enabled us to bring more Africans and Australians together for various purposes including social networking, business activities, cultural festivals, conferences, community engagement and training programs. Our hosting of the annual National African Australian Person Of The Year (NAPOTY) award program and the Victorian-African community Awards (since 2013), has further enhanced our reputation throughout Australia and enabled us to develop one of the largest networks of Africans in Australia. Over recent years, AMA has worked with government bodies, universities, private companies, community groups and business associations to deliver projects with a focus on Africans in Australia and the continent of Africa. The success of such projects has earned us a solid reputation as a serious partner when it comes to connecting with African communities in Australia, African partners in Africa. AMA is registered with ASIC (Australian Securities and Investment Commission) as Africa Media Australia Ltd.